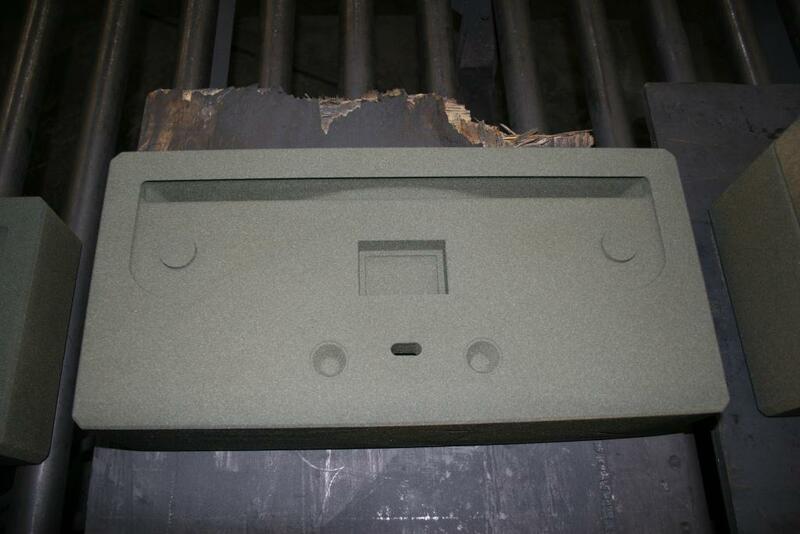 3D sand printing has revolutionized the process of sand casting for prototype parts by completely eliminating the typical geometry constraints of sand castings made from hard tooling. 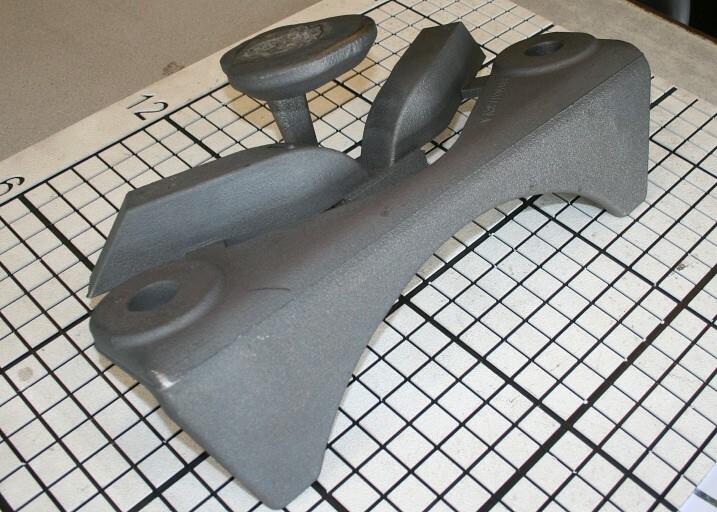 3D sand printed molds made by using technology from ExOne can be poured with gray or ductile iron without patterns in ideal part geometry with tight tolerances. 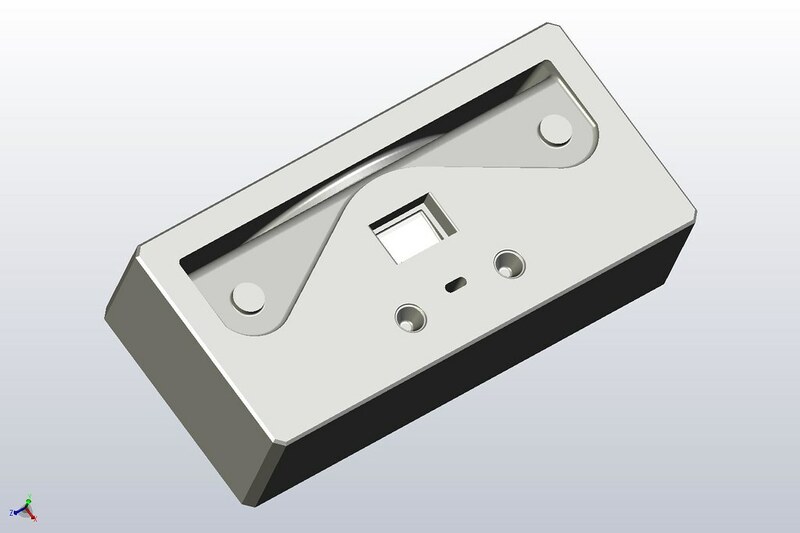 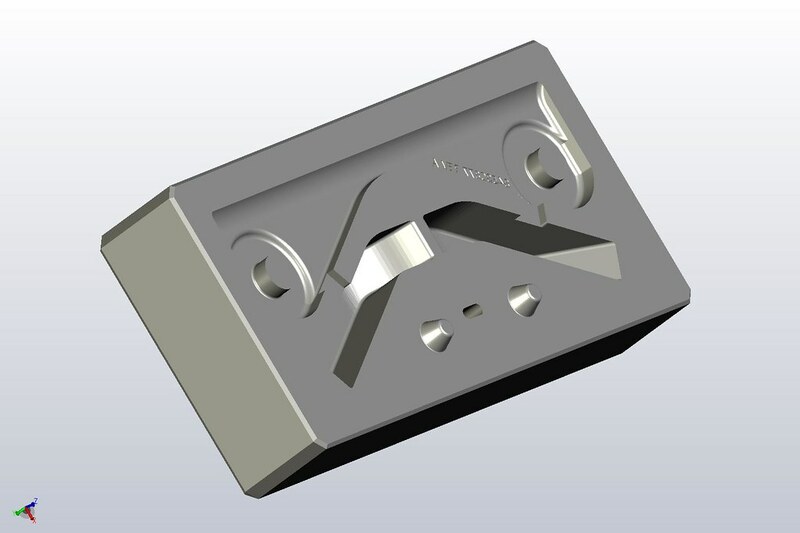 3D printed molds do not require draft and can be printed with undercuts and other part geometry otherwise impossible with molds made from hard tooling. 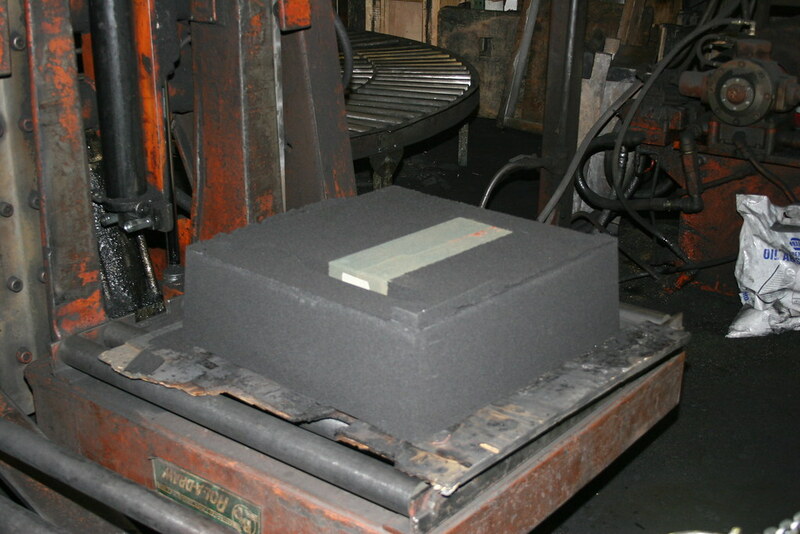 OK Foundry makes prototype or complicated gray or ductile iron castings using 3D molds printed on ExOne machines for select customer requirements. 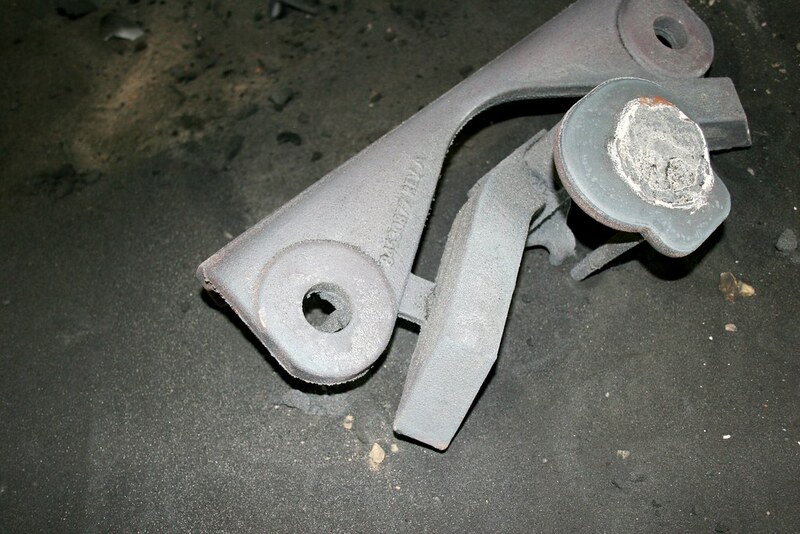 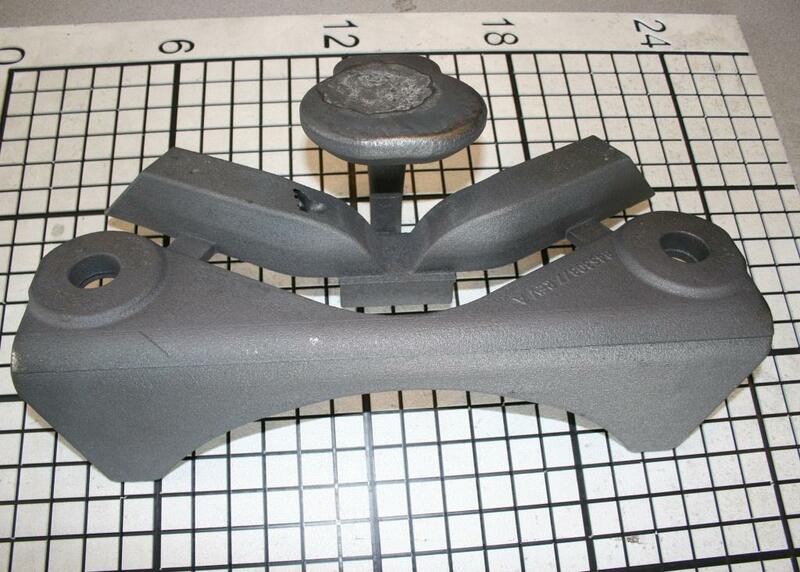 See the image galleries below for examples of how this amazing process can be used for prototype castings. 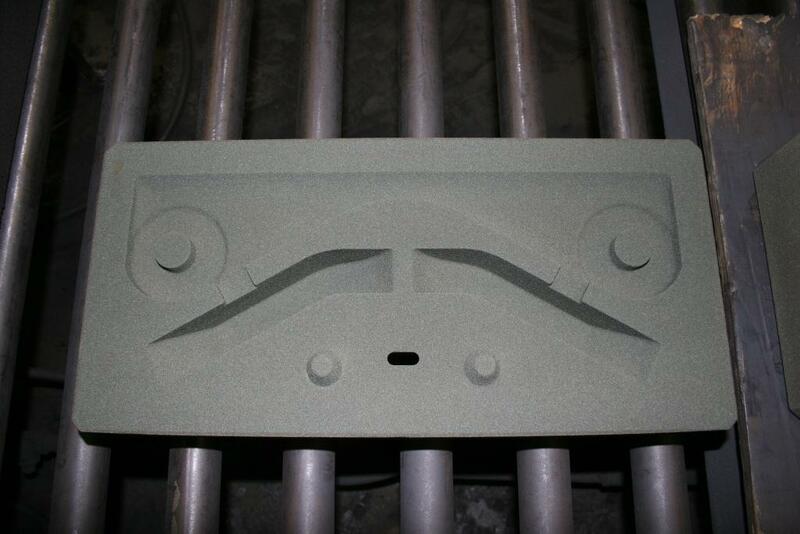 Learn more about 3D sand molds at ExOne. 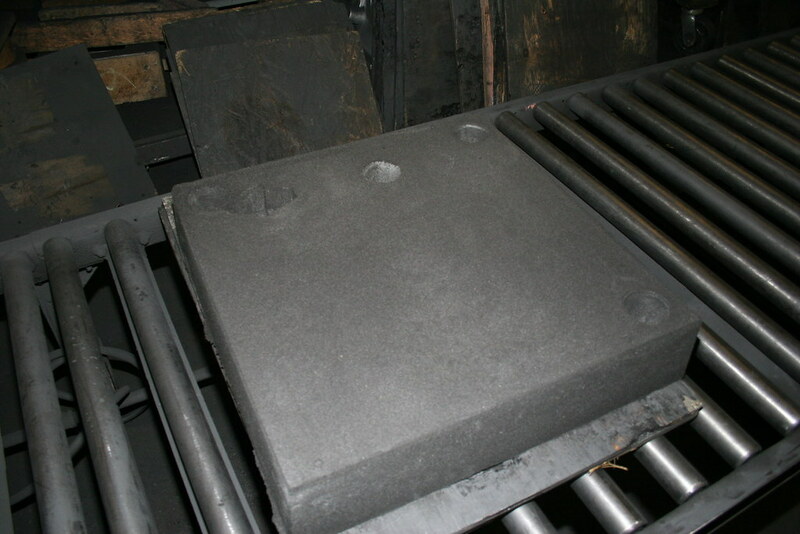 Molds can be designed to be printed with all of the metal feeding structures like sprues, runners, gates, filters, and risers integral to the part mold. 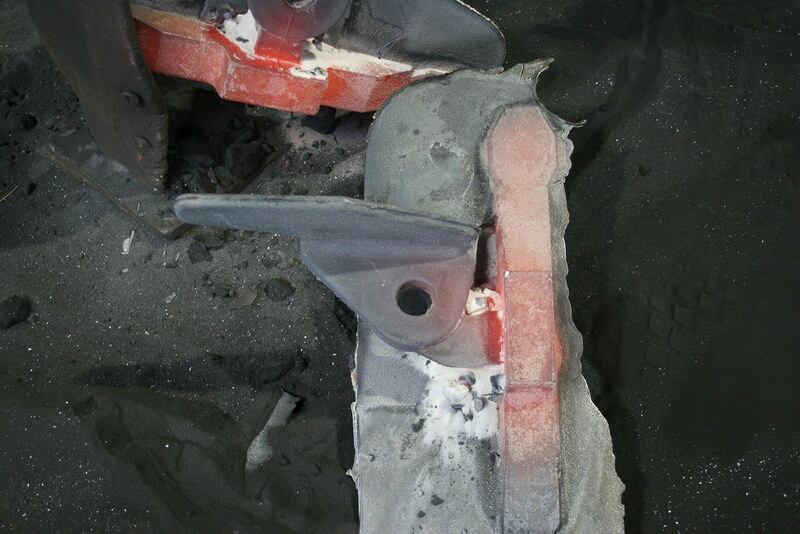 The 3D printed mold components include everything required to pour the cast part. 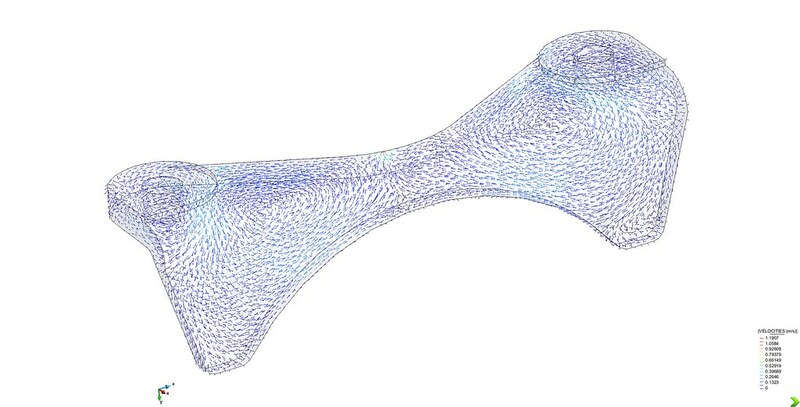 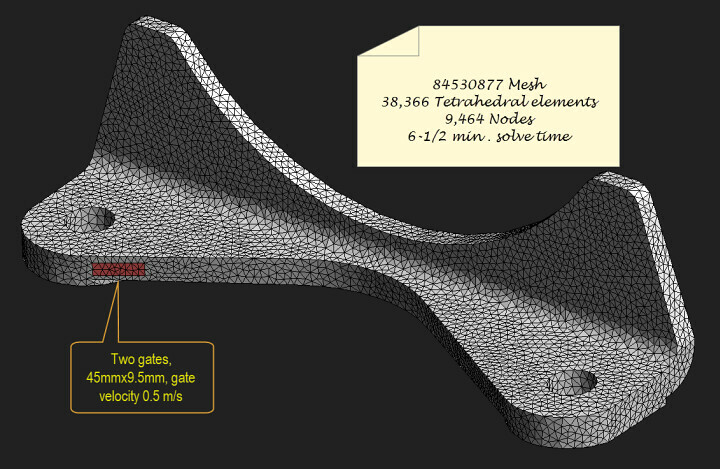 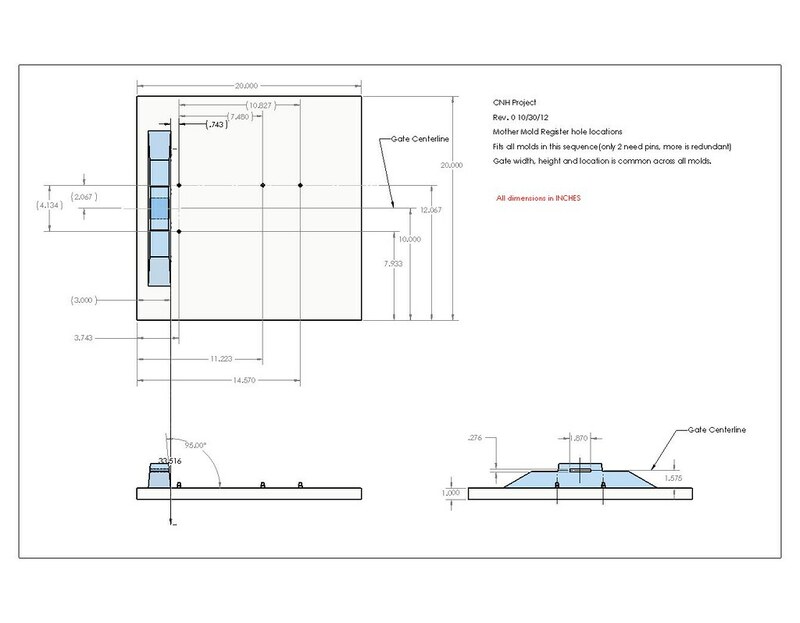 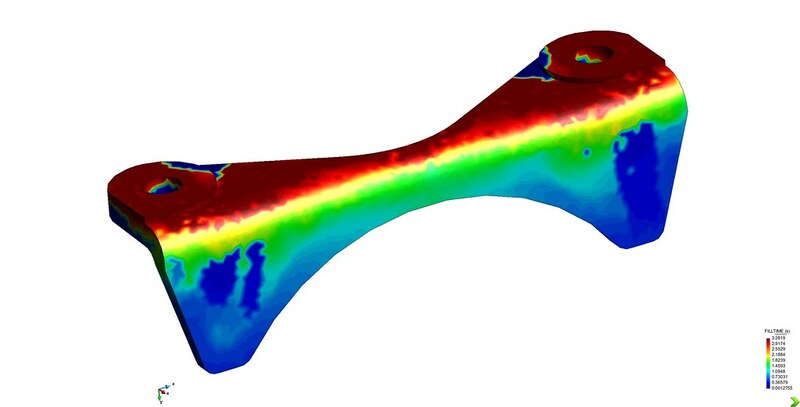 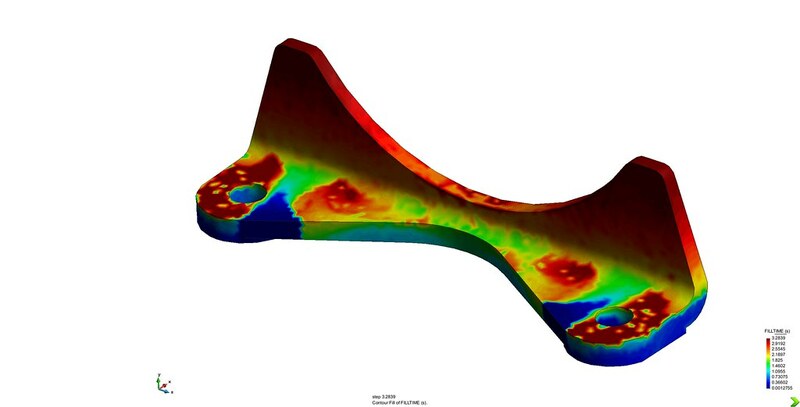 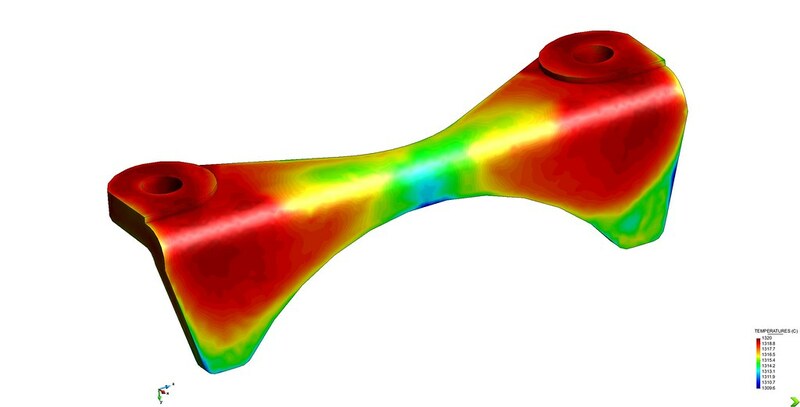 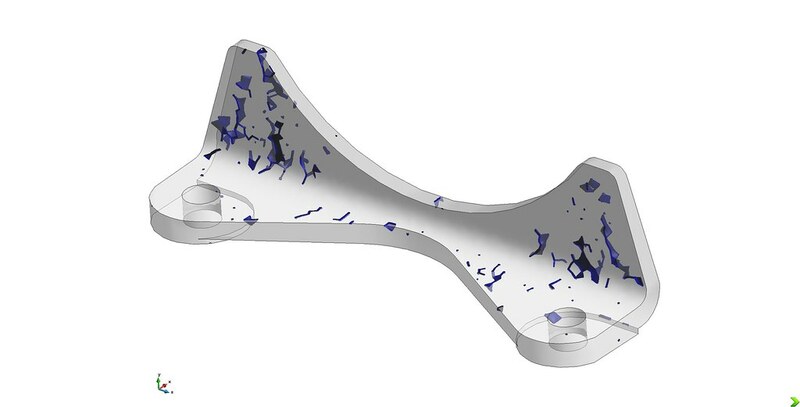 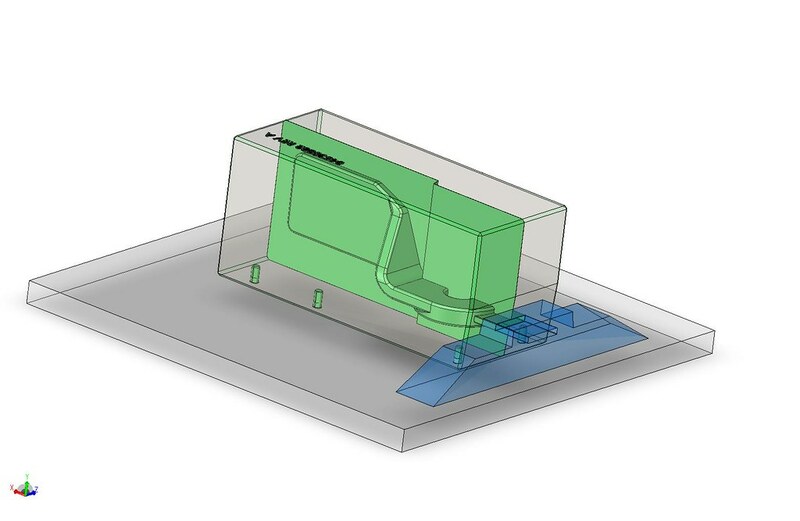 Since the entire mold is modeled in 3D CAD, computer simulations can be performed to analyze mold filling time, metal turbulence, and metal solidification increasing the probability that castings are successful in the first pours. 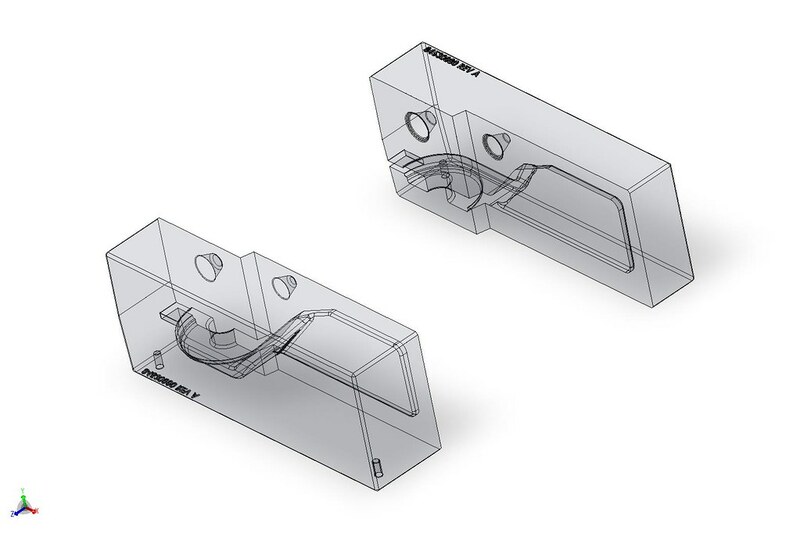 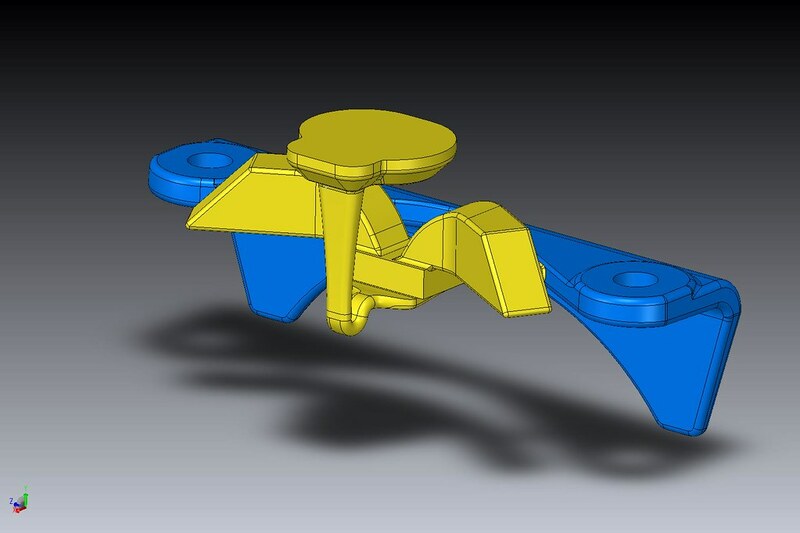 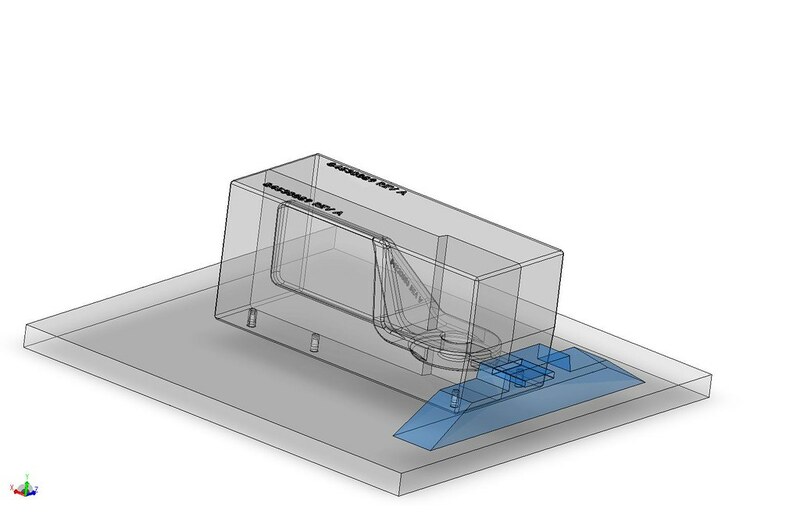 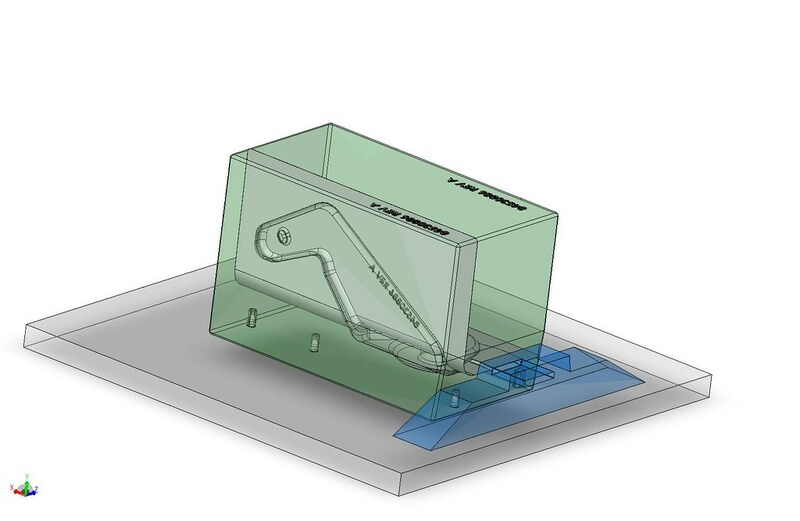 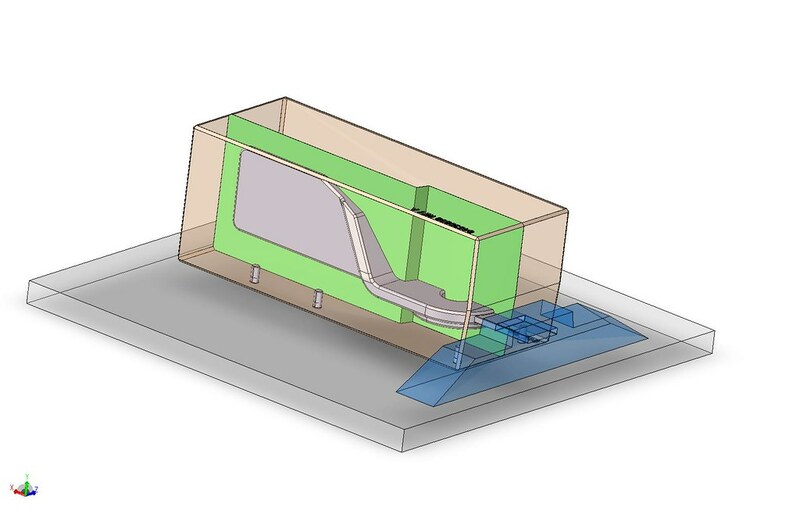 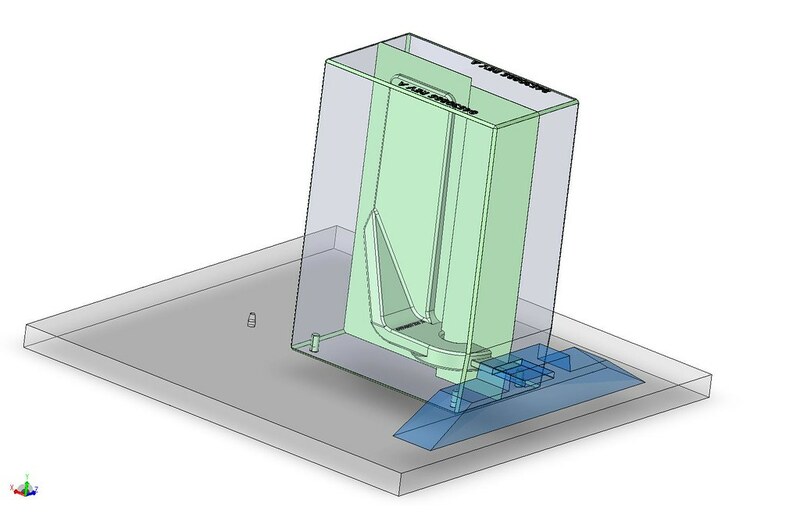 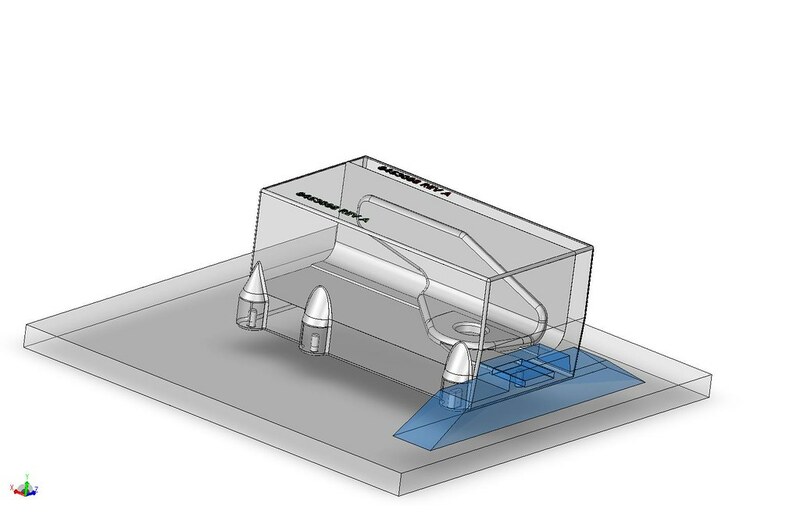 3D CAD models of printed molds enable computer simulation of mold filling and casting solidification. 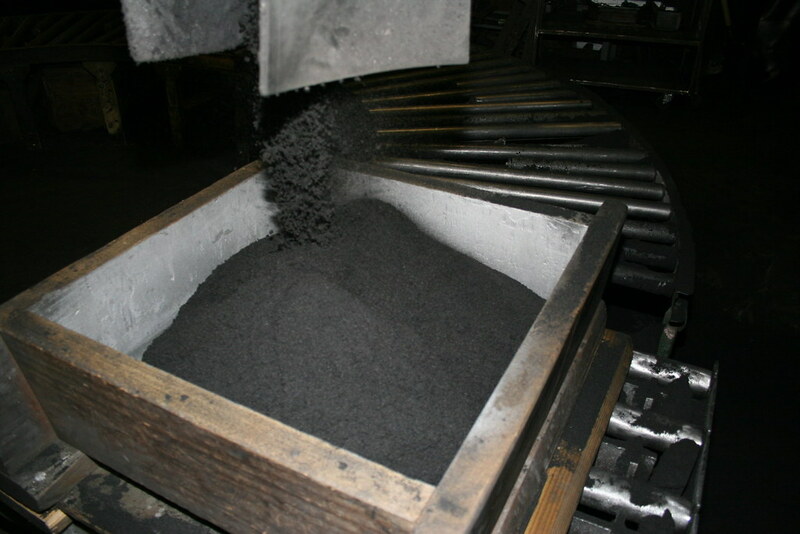 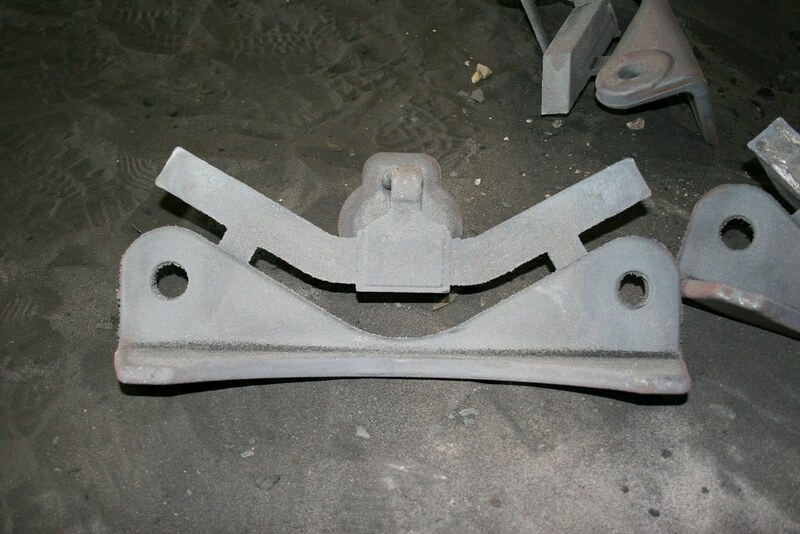 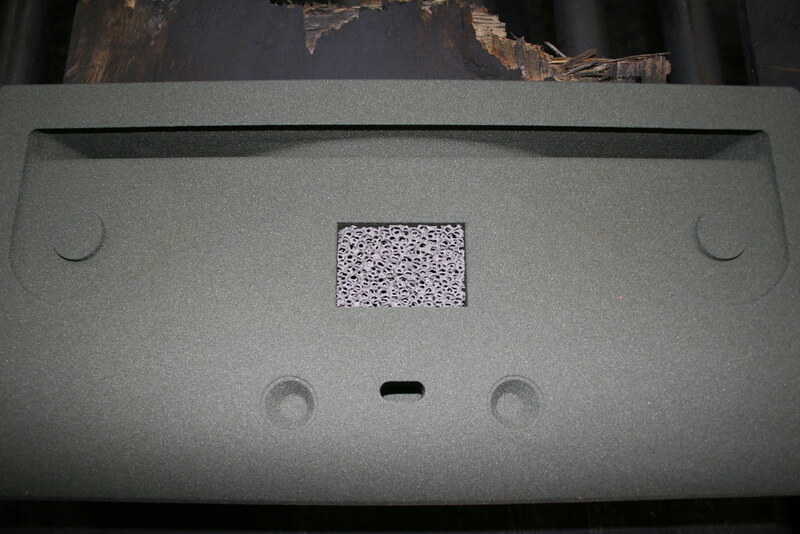 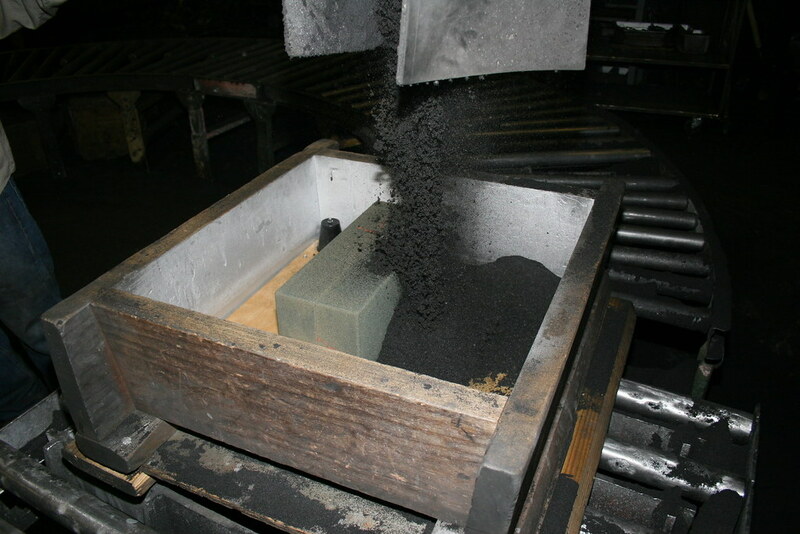 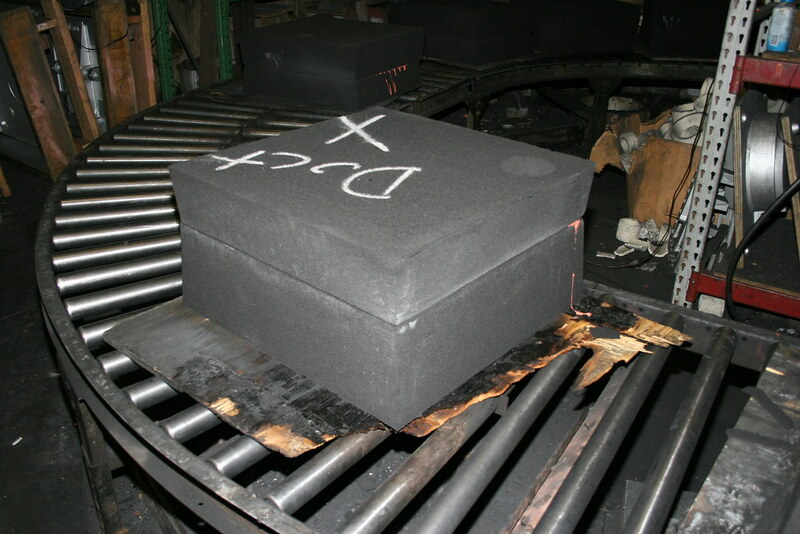 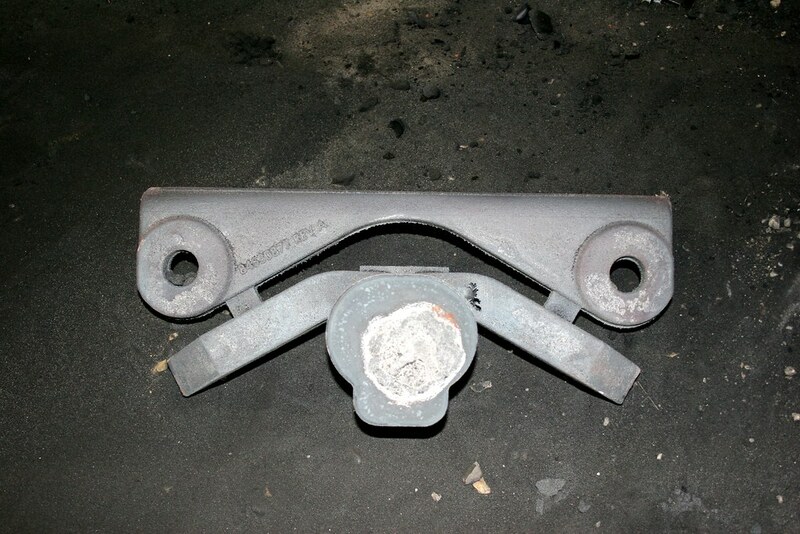 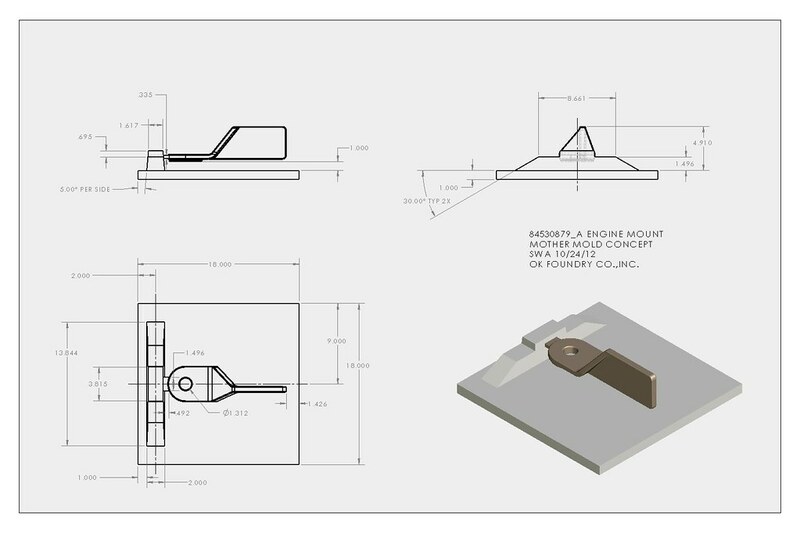 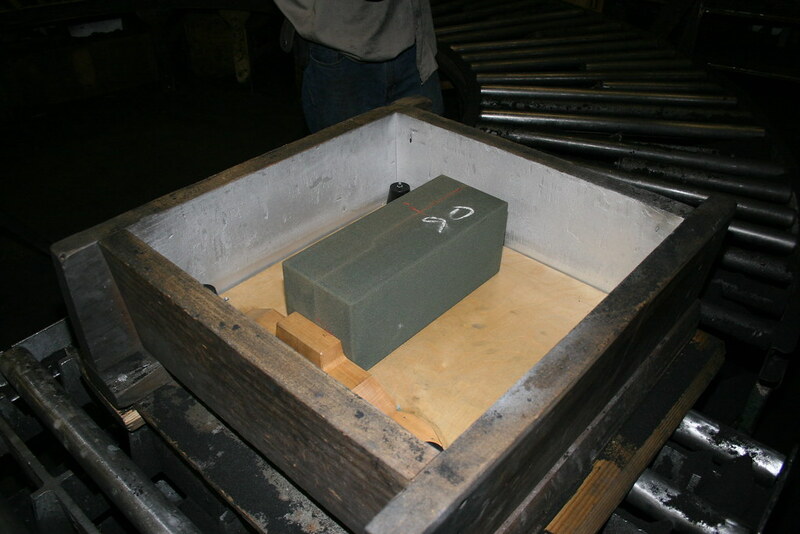 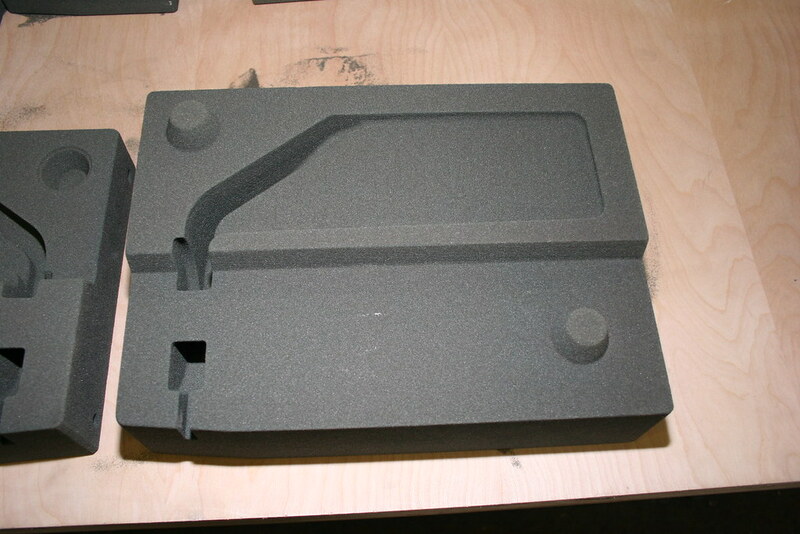 Bulk features of the sand mold required for handling in the foundry or for standardized metal feeding systems can be made using traditional hard tooling and cope and drag molding with resin bonded sand from a continuous mixer such that only the critical part geometry is rendered in the more expensive 3D printed sand mold components. 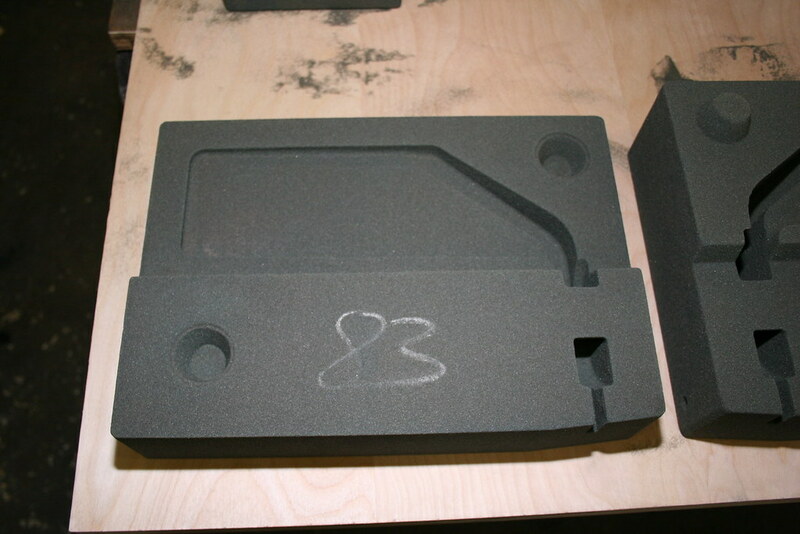 In some cases only the cored portions of a part need be 3D sand printed. 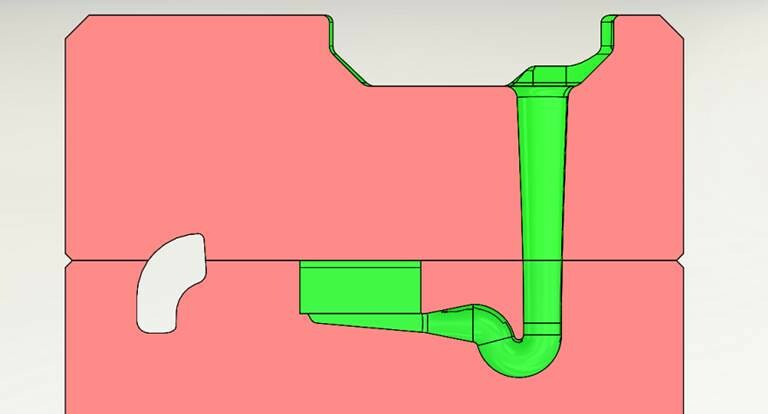 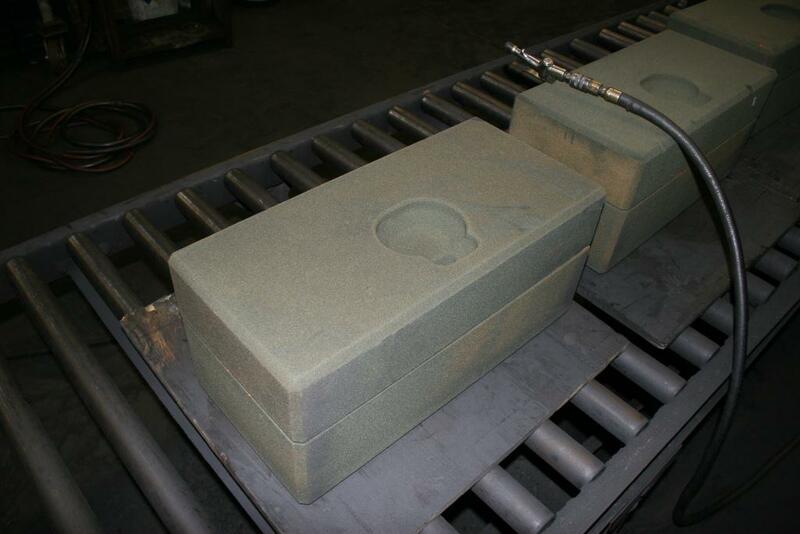 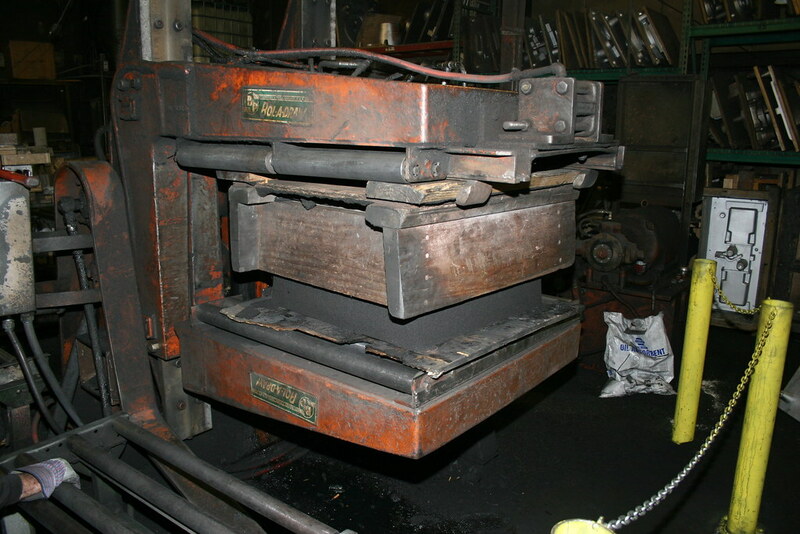 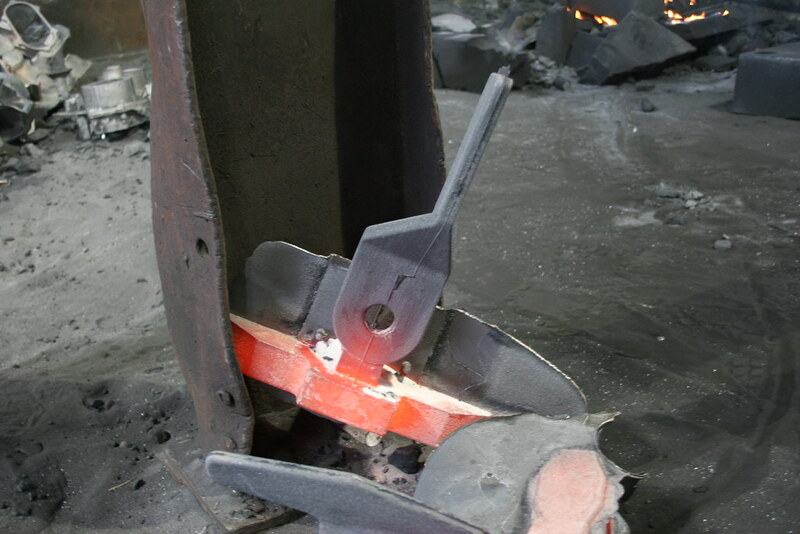 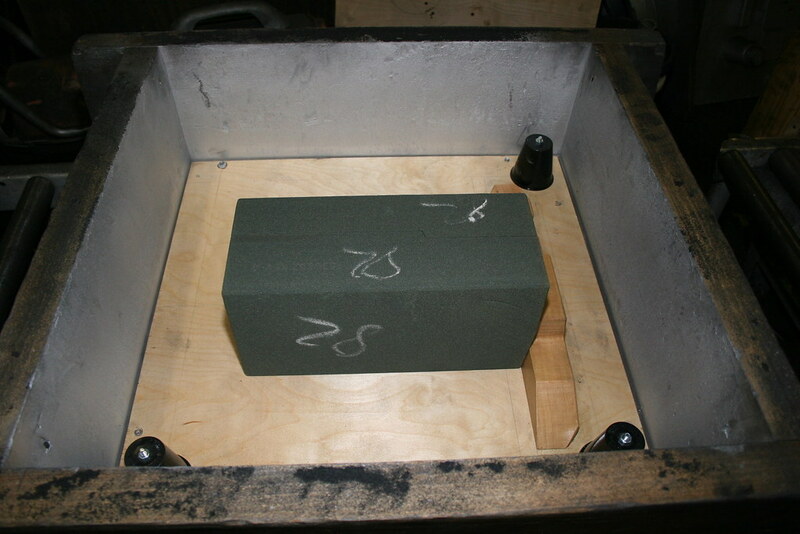 See the images below showing how OK Foundry engineered a mother mold system for casting a series of prototype parts for a construction equipment OEM. 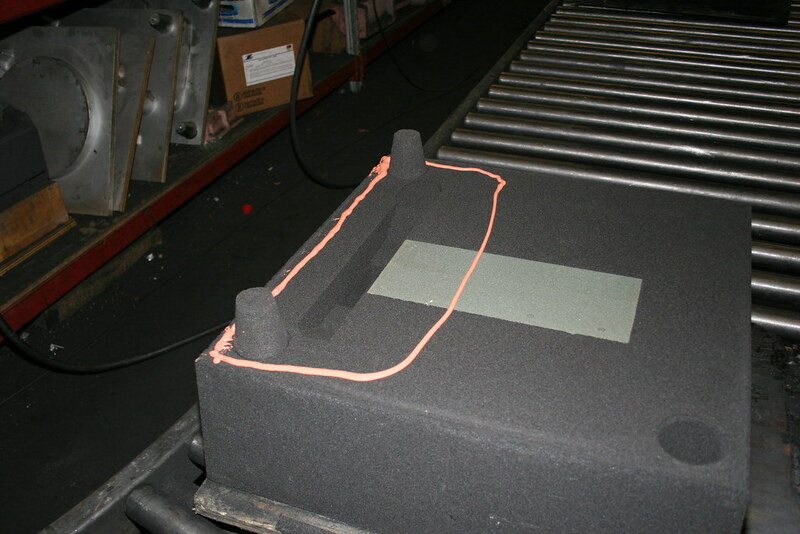 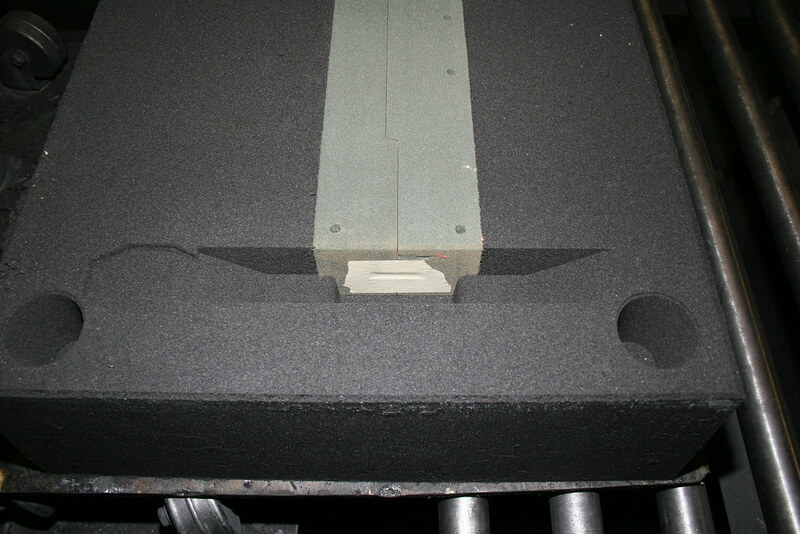 The use of a standardized mother mold reduced the purchased mold costs by 50%. 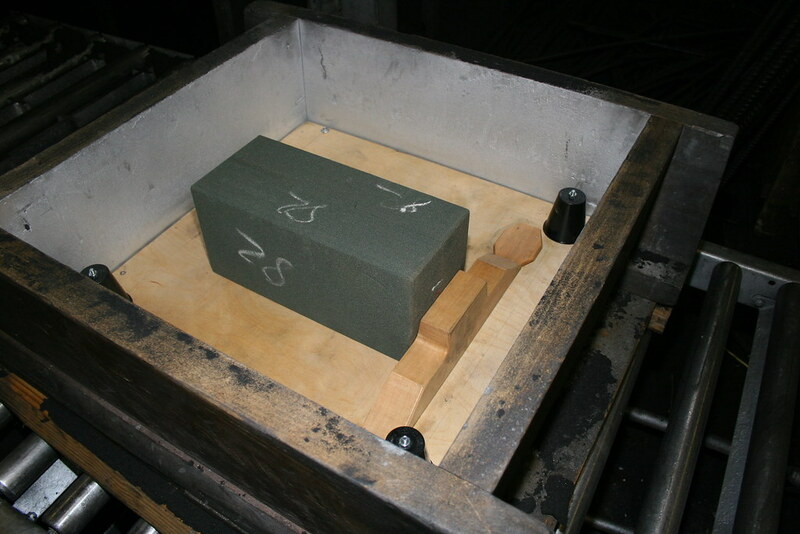 Molding sequence showing the use of a cope and drag mother mold to provide metal feeding and mold support for smaller 3D printed sand molds. 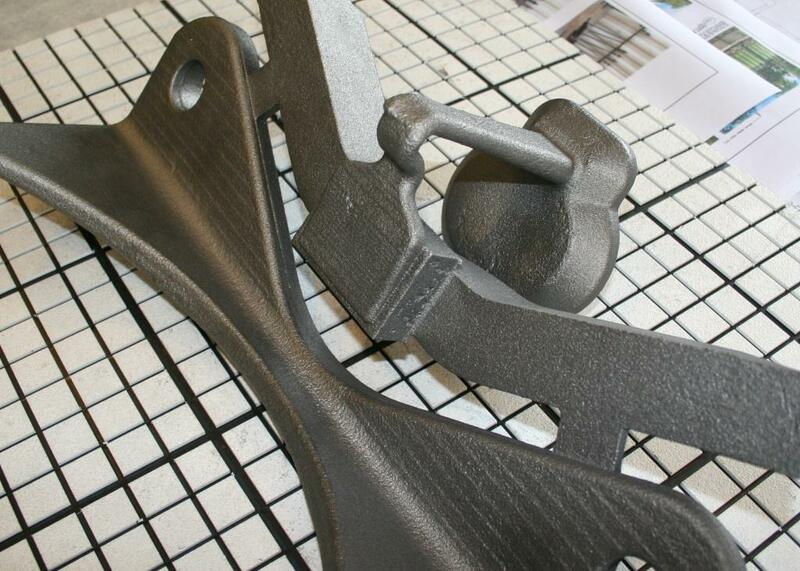 Prototype castings from 3D printed sand molds have tight tolerances and good surface finish. 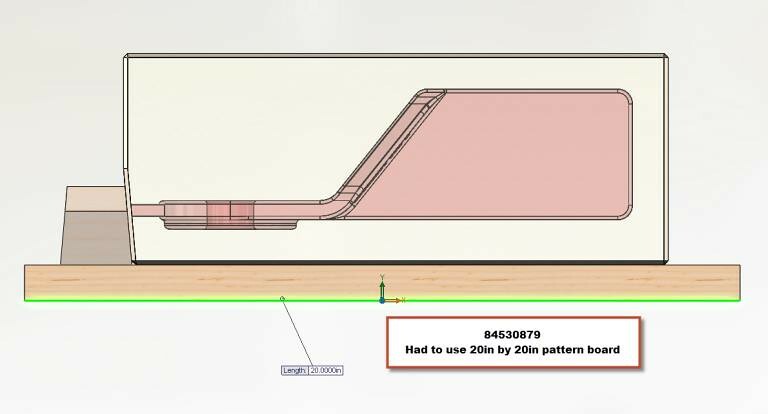 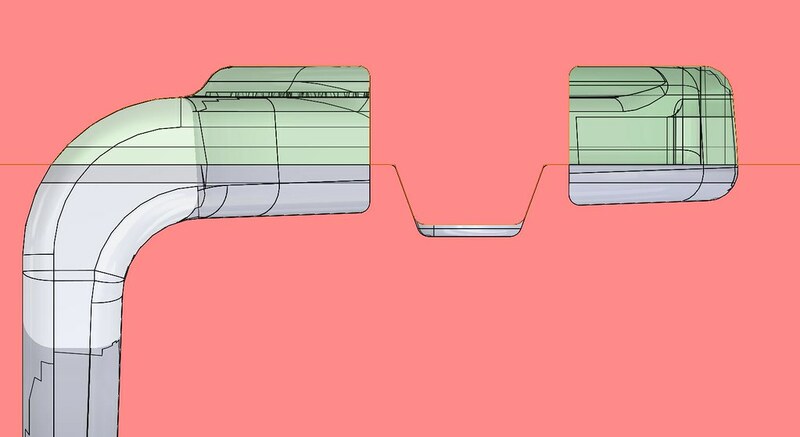 Some stair stepping or rasterization of angled or curved surfaces occur in some planes, but the digitally rendered surface has better accuracy to the ideal 3D CAD model than other methods of rendering a foundry pattern.